Head to Amazon to score this Fingerlings Jungle Gym Playset + Interactive Baby Monkey for only $6.52, regularly $19.99. 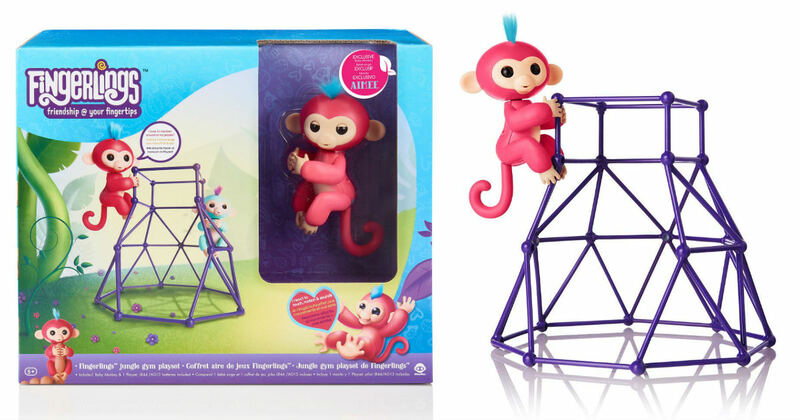 Fingerlings jungle gym includes “Aimee” - an exclusive coral pink monkey with soft blue hair. Aimee is a cute, competitive monkey who loves being first to the top.